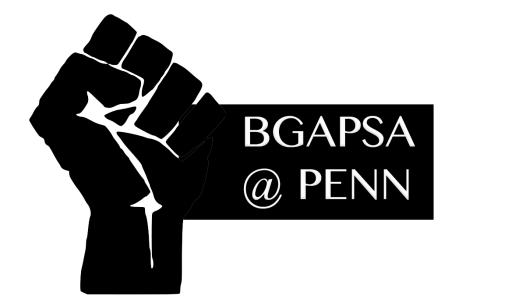 The Purpose of the Black Graduate and Professional Students Assembly (BGAPSA) shall be to enhance the quality of life for graduate and professional students of the African Diaspora at the University of Pennsylvania through a centralized, campus-wide organizational structure that addresses their academic, social, political and cultural needs and concerns. BGAPSA seeks to act as a support mechanism that will assist students in becoming acclimated to the university. Further, BGAPSA shall act as their advocate, lobby and political voice campus-wide. Joshua Bush is a graduate student and member of the organizational consulting/executive coaching (Organizational Dynamics) cohort at the School of Liberal and Professional Studies (LPS). Prior to Penn, He served as an organizational development consultant for a software tax and financial services firm leading employee engagement initiatives. He was raised in both Montgomery County and Prince George’s County, MD. His research and practice center toward coaching student-led groups toward increased performance, execution, and organizational productivity. In his leisure, Joshua conducts academic and personal coaching for underrepresented students to enhance participant decision-making skills and academic outcomes. Sarah Adigba is a first-year at School of Engineering and Applied Sciences pursuing her Masters in Systems Engineering. She graduated from Drexel University where she received her Bachelor’s degree in Chemical Engineering. Joanna Ferguson is a second year at Penn Dental Medicine pursuing her DMD. She graduated from the University of Virginia where she received her Bachelor’s degree in both Foreign Affairs and African American/African Studies. After her time at U.Va, she joined Teach for America and taught Kindergarten in Atlanta Public Schools for two years. Prior to matriculation into the DMD program she worked as a dental assistant at a pediatric dental office and was inspired to pursue a career in pediatric dentistry. Kathryn is a 2nd year dental student at Penn Dental. She graduated from the University of Michigan in 2016 with a Bachelor’s of Science in Movement Science. She is also a 2nd Lieutenant in the United States Army. When she graduates from dental school, she will be a Captain in the Army as a practicing dentist to our troops and their families. In undergrad, she was the president of the First Generation group on campus so she knew when she got to Philadelphia, that she wanted to become part of something bigger than herself. She believes the VP of Marketing is the perfect opportunity for that because even though BGAPSA is a large student group, she believes that the message of our events could get out to more of our community and make more people’s graduate experience a little better knowing that there is a large black community here at Penn that comes from similar backgrounds that could be a good support system when needed throughout grad school. Jazmine is from Philadelphia, PA and a graduate of the University of Pennsylvania, where she received her B.A. in Criminology this past May. Jazmine returned to Penn this Fall to complete her graduate studies in Criminology. During her time in undergrad, Jazmine wore many hats and was heavily involved on campus. She was a cheerleader, a board member of Penn Weekend Service, an Orientation Leader, and the President of the on-campus Christian group: God’s Property. However, out of all of her obligations and commitments, Jazmine’s favorite was being a Resident Advisor (RA). While she is earning her M.S., Jazmine will be splitting her time between being a Graduate Associate (GA), being involved with BGAPSA, and managing her two businesses. In her service on this board, Jazmine hopes to help foster an environment where all Black Grad students feel like they have a home and a community.